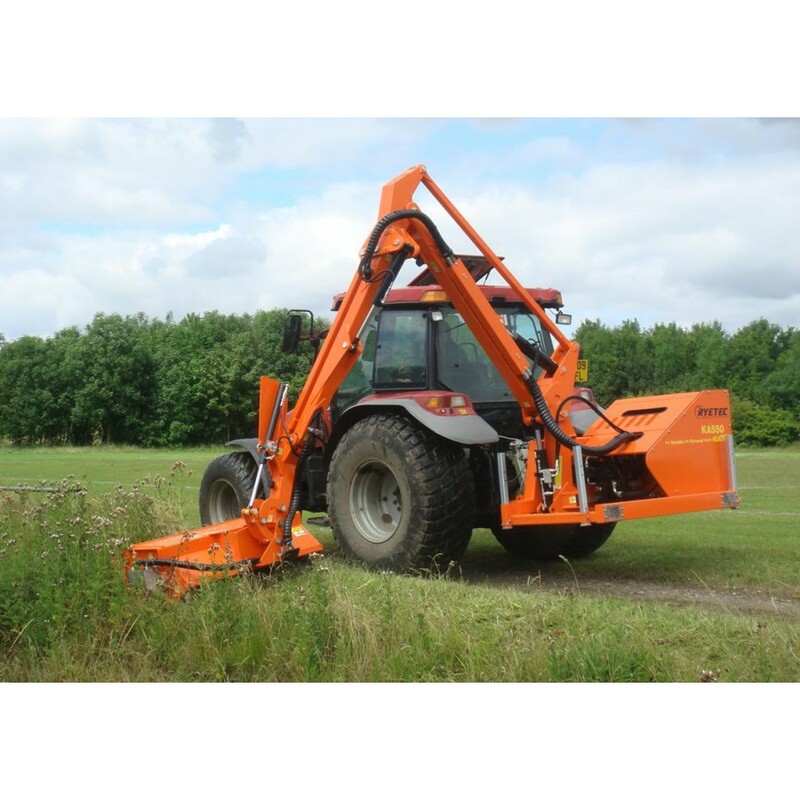 Mower collector to suit small compact tractors that will leave a smart finish with the ability to cut, scarify and collect. 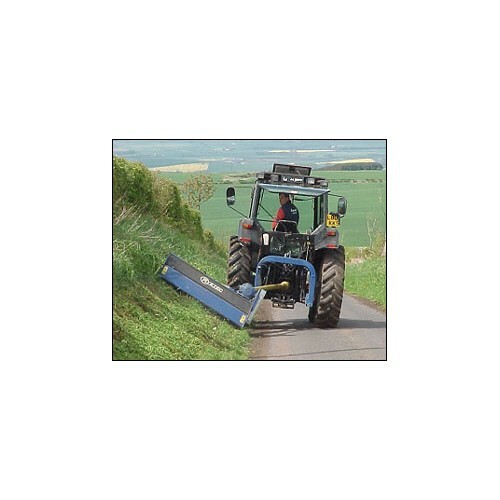 Available in a range of widths from 1m to 1.6m (see product brochure for more information). 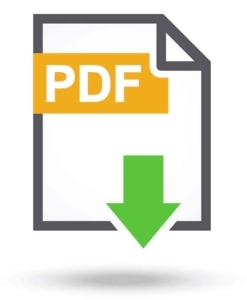 Available as manual low tip, hydraulic low tip or hydraulic high tip. 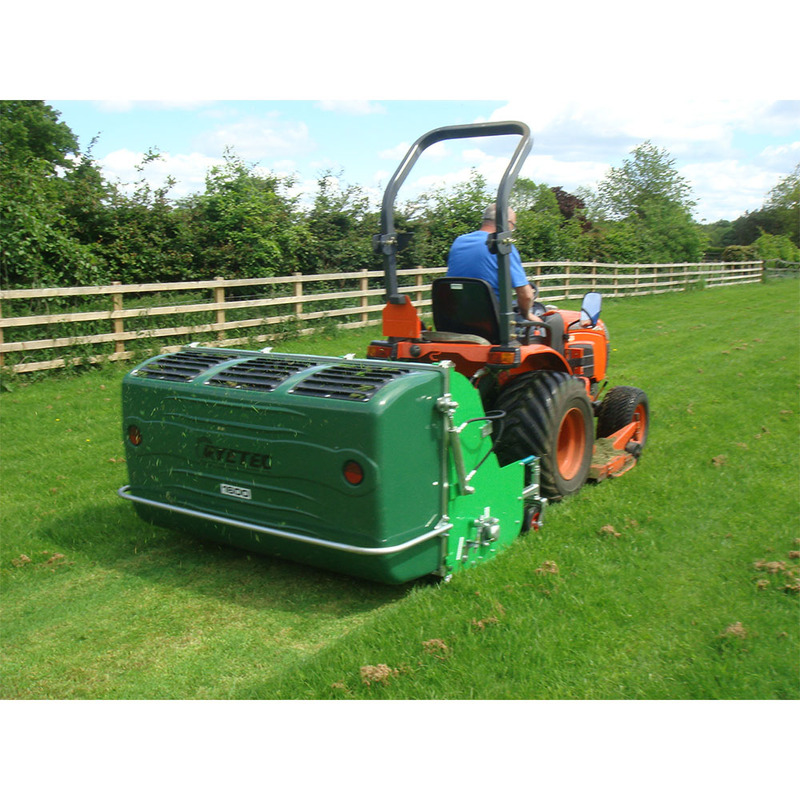 High quality fine finish with paddle flails and scarifying optional. Heavy duty drive line with overrun clutch. Height adjustable front caster wheels with solid tyres to avoid punctures. 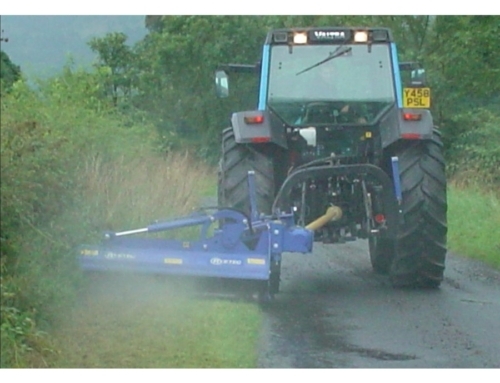 Simple and effective Mini Flail Mower Collector ,these machines use a patented special cutting flail which not only cuts the grass but then blows it directly in to the hopper, because the grass does not change direction after being cut it means there is very little opportunity for the grass to block in wet conditions. Mini flail mower collectors cut and collect on all types of grass from lawns to conservation areas and have scarifying capability. 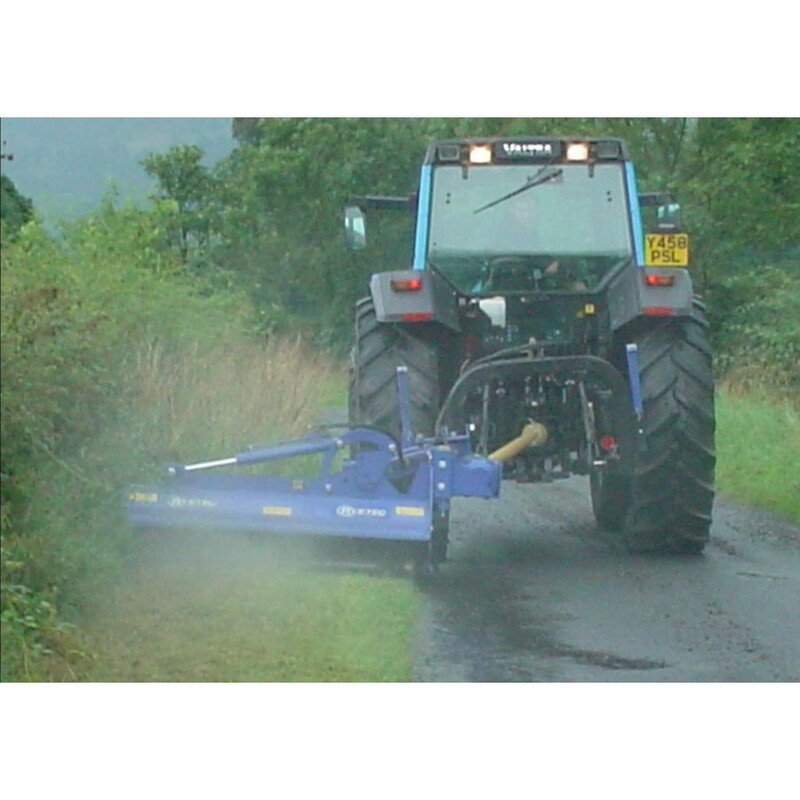 Their robust yet lightweight construction allows safe use on small tractors even with a full hopper of cuttings. 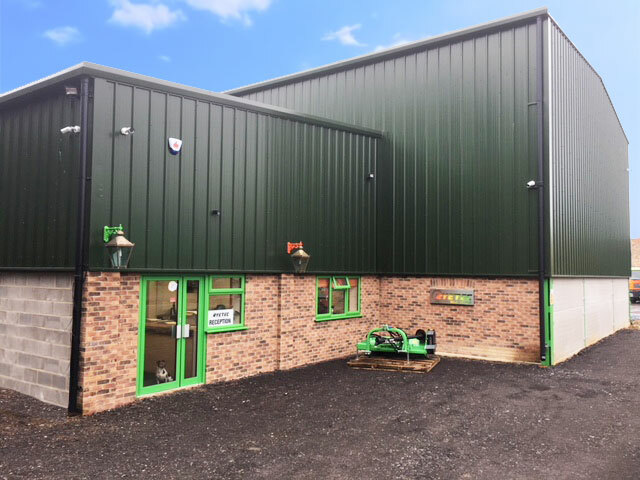 The low profile design allows use in situations where overall height is an important consideration, ideal in orchards and large gardens where overhanging branches are a problem. 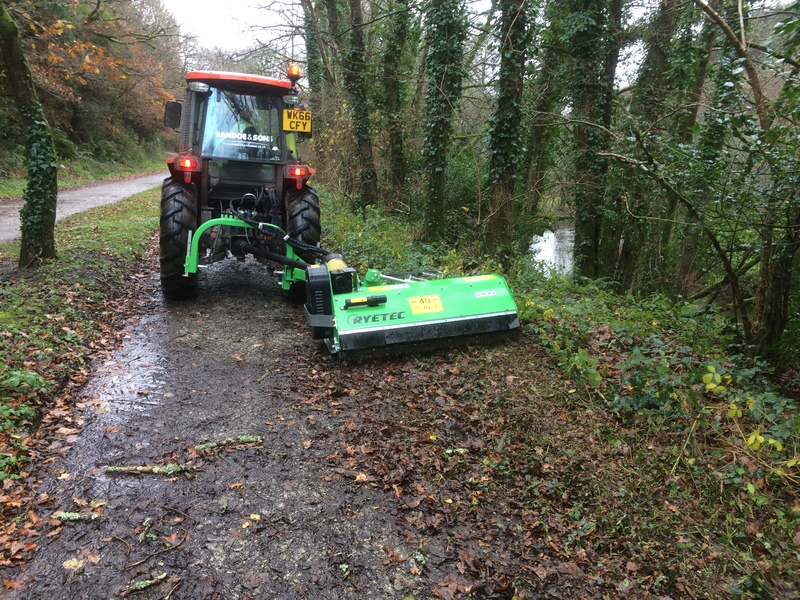 The Mini Collector can also be used during autumn to pick up leaves, litter and even hedge clippings. 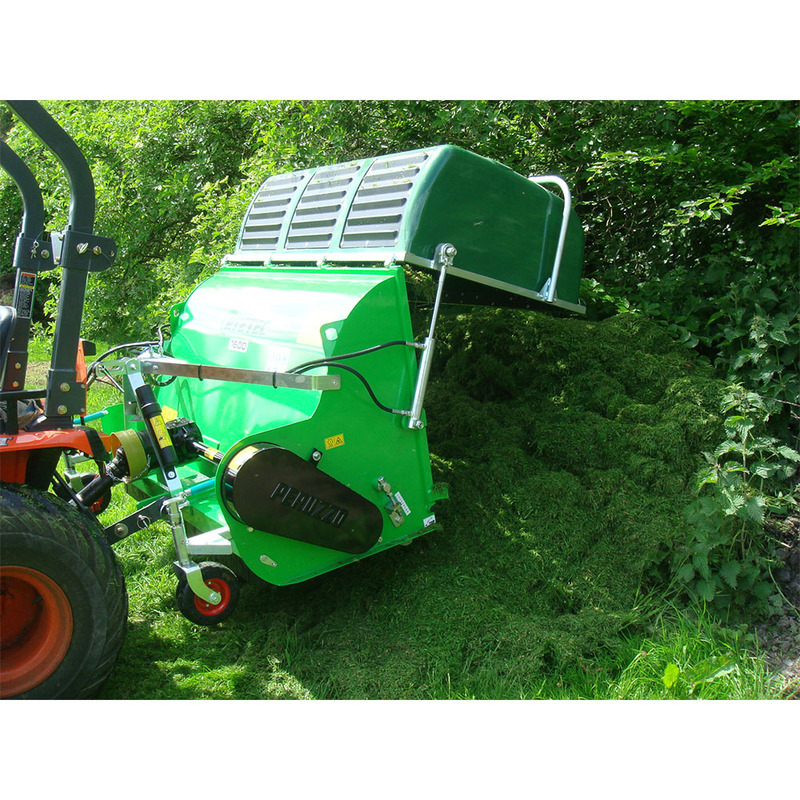 The powerful action of the paddle flails mulch any collected material, vastly reducing its volume and speeding up the composting process. 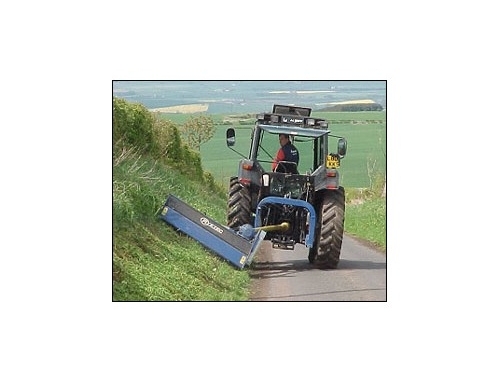 The collected material is tipped hydraulically from the tractor seat, or via a manual lever opening for tractors without an external hydraulic supply. High tip to 1.85m is available on the 1.2m and 1.6m models. 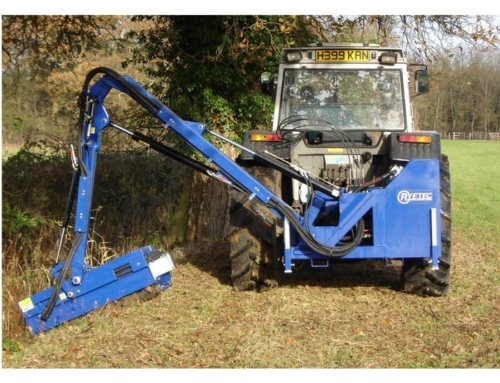 Heavy duty chassis and 3 point linkage mean the machines can be transported and held securely on to the powering tractor, low power requirements (25-35hp) mean that if the machine is in a fixed position a much smaller and economical tractor can be used to power the machine or the optional electric power drive system. Both the intake and loading conveyors fold for transport and storage and the loading conveyors height is controlled by a simple winch mechanism. 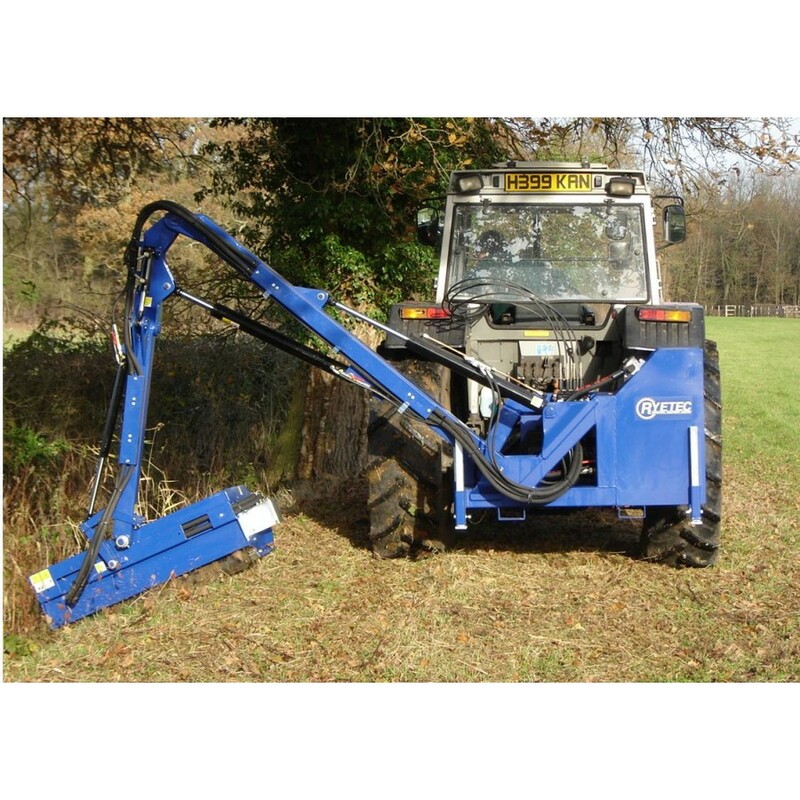 The robust yet relatively light construction of the Mini collectors, makes them ideal for specialist applications where machinery weight must be kept to a minimum to reduce compaction problems or surface damage. 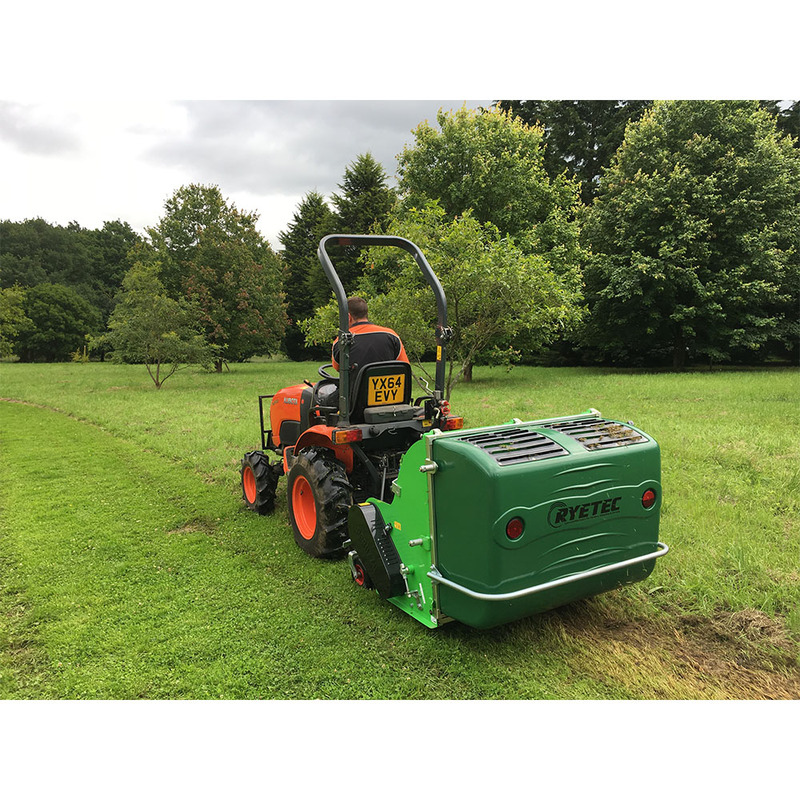 Golf greens are a perfect example and when fitted with scarifying blades, the collectors are ideal for use on both golf greens and tees, bowling greens and other areas which have traditionally been worked by pedestrian equipment. 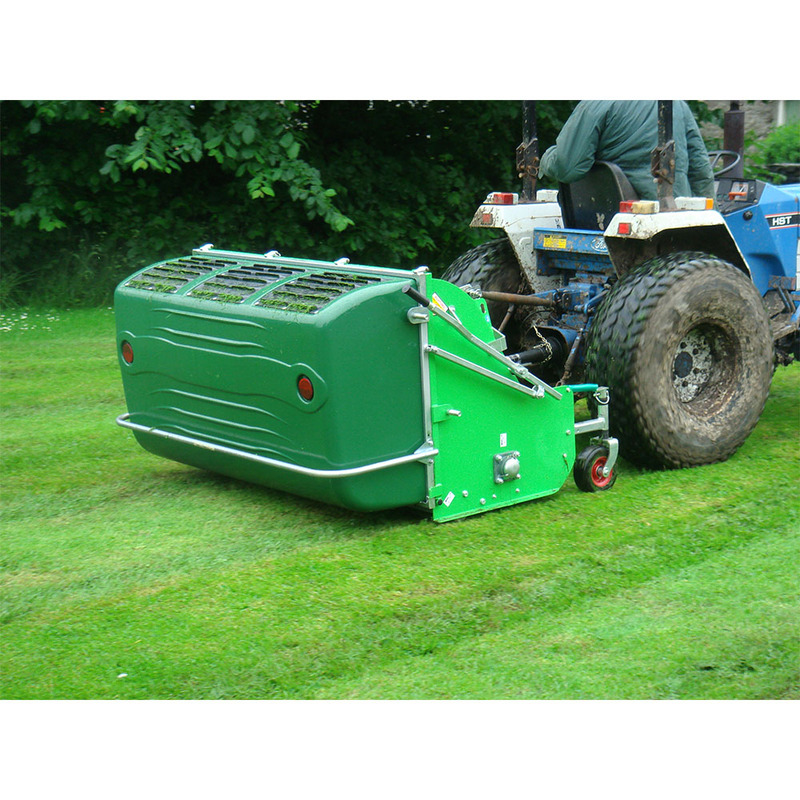 An optional front roller can be fitted instead of the front castors for more accurate control of scarifying height. 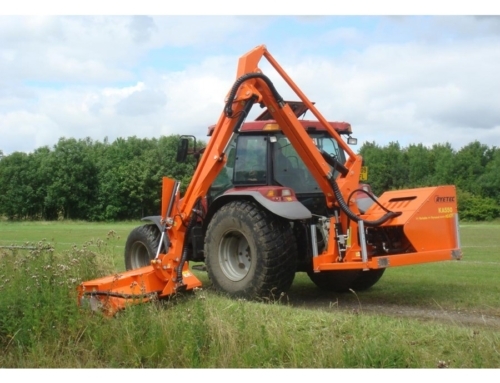 The roller is mounted directly in front of the flail rotor and has a screw type adjustment giving very fine adjustment of scarifying depth and excellent ground following characteristics to prevent scalping.